Congratulations to the Parlux 3500 Super Compact Ceramic & Ionic Hair Dryer, the winner of the InStyle Best Beauty Buys 2013 Best Blow-Dryer Award!! It appears good things really do come in small packages, as the Parlux 3500 Hair Dryer is celebrating its 6th year in a row of being awarded the Best Blow-Dryer in the InStyle Best Beauty Buys Awards. This outstanding run of awards has led to the Parlux 3500 Hair Dryer finding a place in the InStyle Hall of Fame. An absolute honour and testament to why Parlux is the leading global professional hair dryer manufacturer. 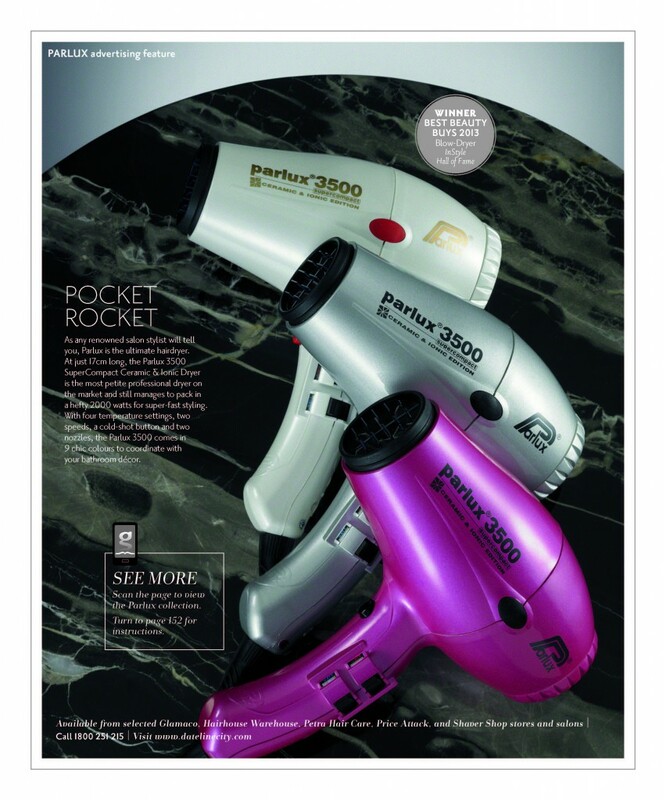 The Parlux 3500 Hair Dryer is the quintessential pocket rocket. Only 17cm long, the Parlux 3500 Hair Dryer is the most petite professional hair dryer on the market. With a mighty 2000 watts of power for super fast styling, four temperature settings, 2 speed settings and a cold shot button, the Parlux 3500 is a mini but mighty offering from Parlux. Available in 9 colours to suit your style. Light yet powerful, the Parlux 3500 is blowing away the competition when it comes to awards! Congratulations once again to the Parlux 3500 Hair Dryer, an InStyle Hall of Fame and Best Beauty Buys 2013 award winner. For i-glamour’s complete range of Parlux Blow Dryers shop our Parlux section.